Institute for Human Reproduction (Oakbrook) - Book Appointment Online! Dedicated fertility professionals, world class reputation, and a record of success. 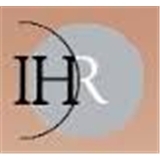 For nearly two decades, IHR has been a leading provider of assisted reproductive technologies, including IVF and all other major fertility treatments. At IHR, our patients’ well-being and satisfaction come first. We are dedicated to doing whatever we can to utilize our consider resources and experience to help families deal with, and solve, a wide range of infertility issues. We are well aware how difficult it is both to grapple with the emotional decisions that accompany diagnoses of infertility, and to juggle the financial implications that accompany making the decision to pursue a solution. We understand all these factors and pledge to do our utmost to work with you to determine whatever solution you decide on, and to make it successful. I had a wonderful experience with this office. Everyone on staff was kind and patient and we are thrilled with the end result!